I made this card for the Unity Friends with Flair Friday Challenge. I used this stamp from the May 2014 Kit of the Month. The sentiment is from the Big Summertime Bouquet Itty Bitty. I wanted to practice blending with my Copics so I spent a lot of time on that main dress blending 4 colors. The papers are from DCWV Honey Chic stack. That bow tie is a Tim Holtz die. Thanks for stopping by! Gorgeous use of that image!!! Wow I love this card it is so pretty. If, I was picking the card this week! I would pick you! I love you card, it is so pretty. If I was picking the cards this week. I would picked your I love it! 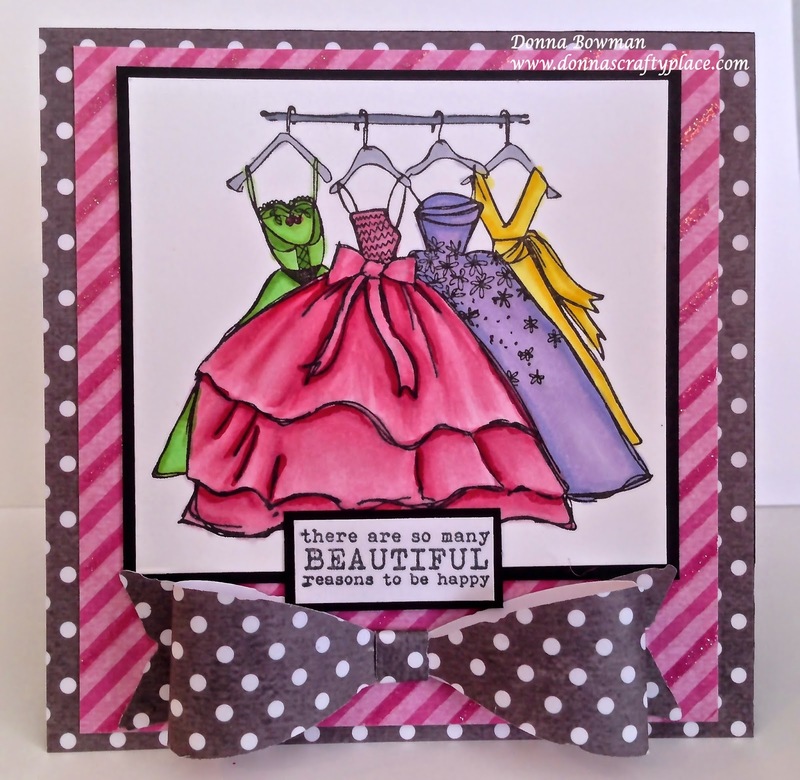 Fabulous card and love that bow! Such a beautiful card Donna, your colouring is perfect! Love the colors and the polka dot bow. Such a lovely card, love everything about it! This stamp has been such a hit. You colored the dresses beautifully! This is fabulous! Love your coloring on the main dress! Love how you colored the dresses Donna. Beautiful ! Gorgeous card! LOVE the coloring on the dresses! !